Pemamek provides shell fabrication solutions for all kinds of tubular and conical shells. 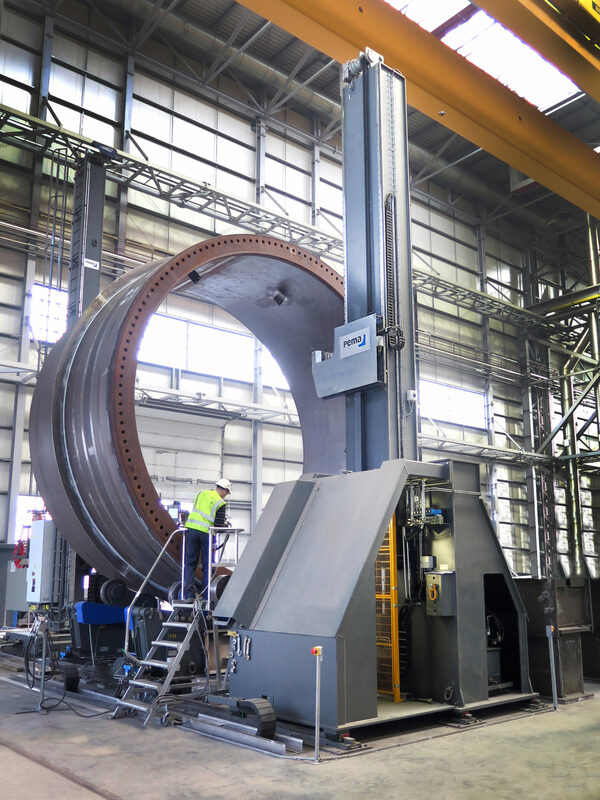 Long seams varying from the biggest monopile diameters to the smaller diameter and heavy conical jacket leg parts can be welded efficiently in the correctly selected welding solution. Monopile type of foundations include two heavy weight section, monopile itself and transition piece that connects pile to turbine tower. In order to first build and then join these huge sections together, you can either use a single can process or utilize sub stations for joining multiple cans. Whatever process is chosen, Pemamek has the equipment to carry it out. Pemamek’s range of solutions include welding stations, for internal and external longitudinal and circumferential welding. The productivity of external welding can be further improved by employing PEMA WS welding platforms for the simultaneous welding of multiple or more joints. 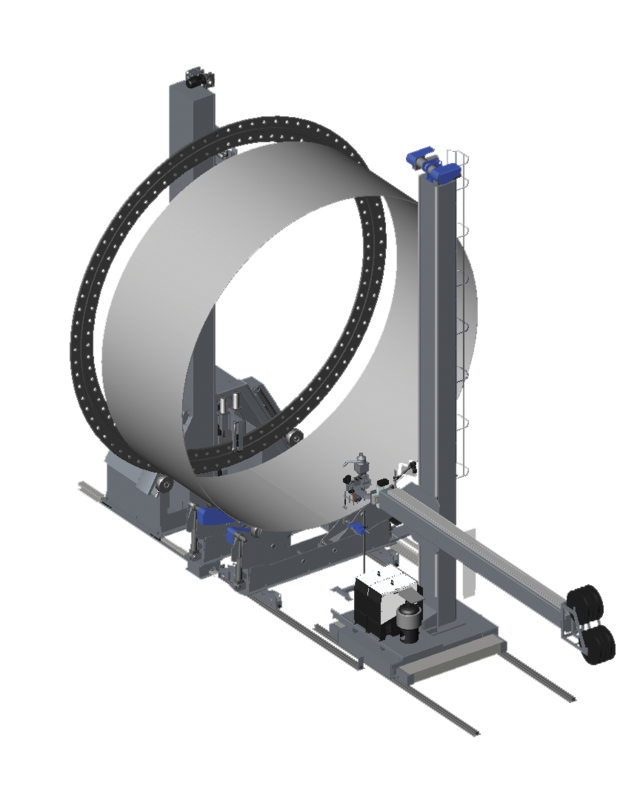 One of the latest PEMA innovations, Horizontal Flange Fitting station (PEMA HFF), enables fast, safe and accurate fit-up of flange to the shell. The flange is placed in horizontal position while the shell is firmly supported by the anti-creep rollerbeds.